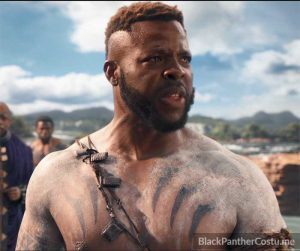 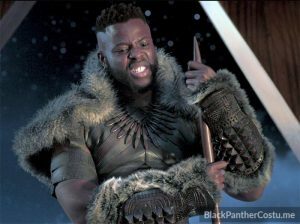 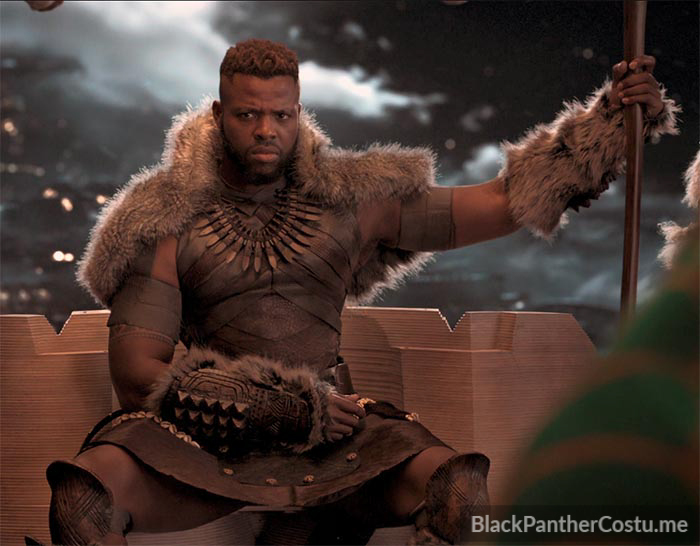 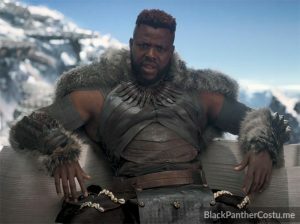 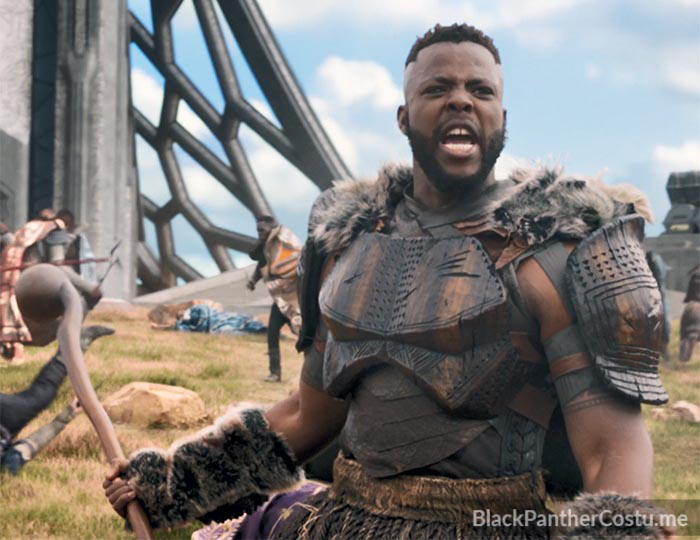 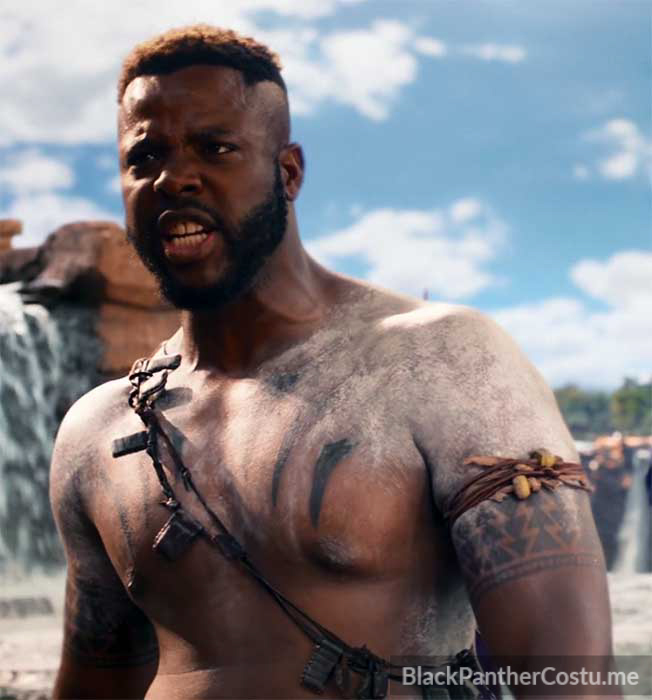 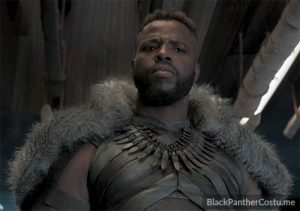 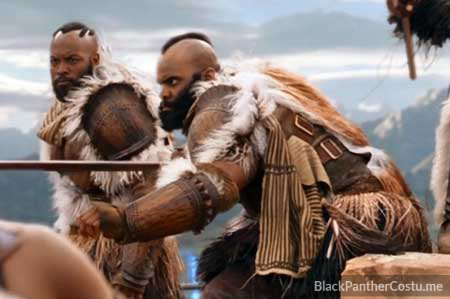 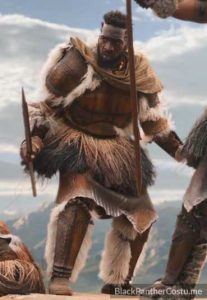 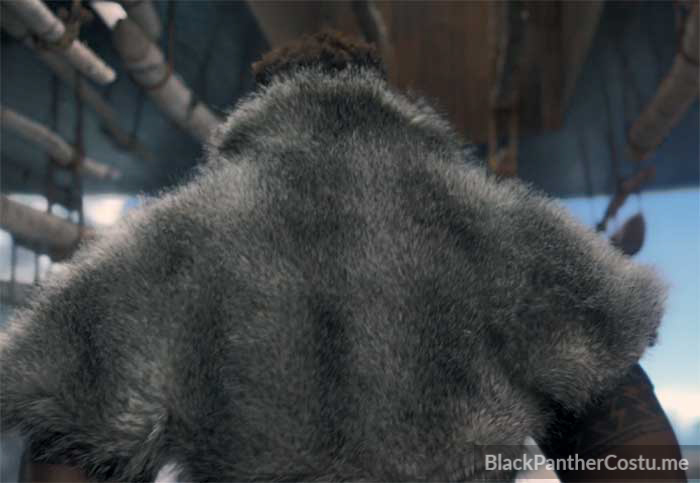 M’Baku and the Jabari are the isolated Wakandan mountain tribe that shuns the use of Vibranium. 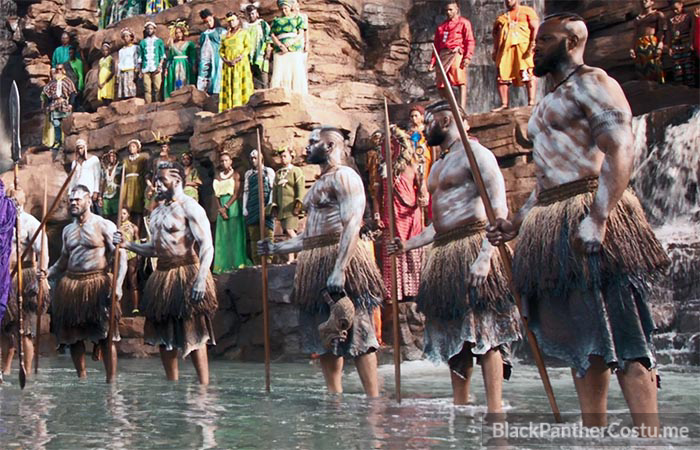 Their costumes are loosely based on the dress of the Dogon tribe of Mali & West Africa. 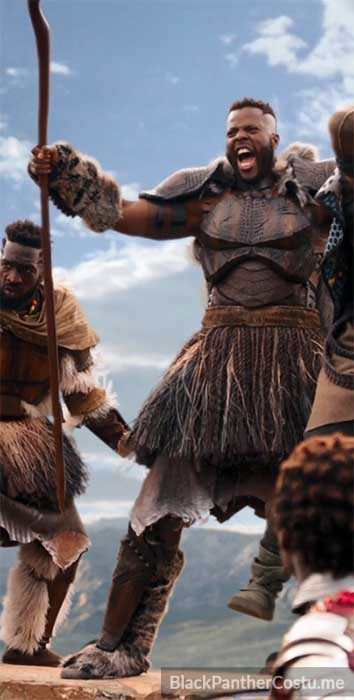 M’Baku challenges T’Challa in a grass skirt. 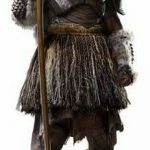 Buy a real grass skirt. Buy clay mud mask to create authentic tribal white body paint. Buy an M’Baku gorilla mask. 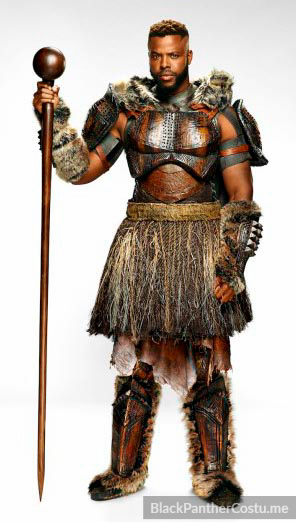 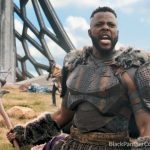 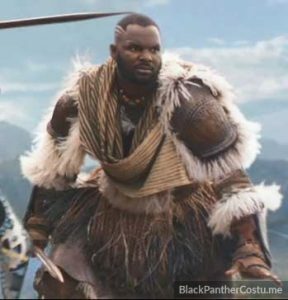 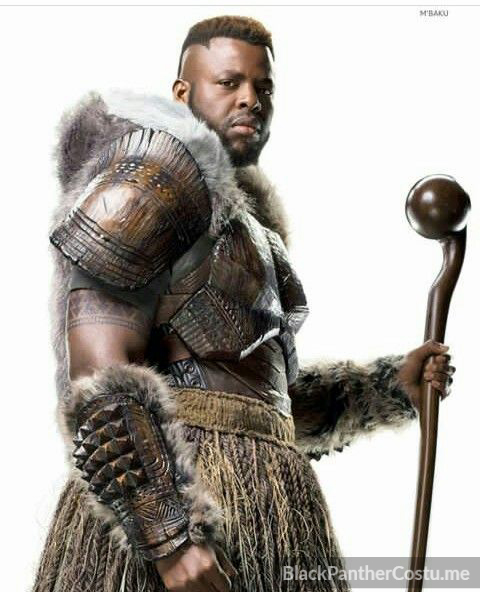 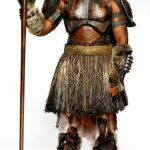 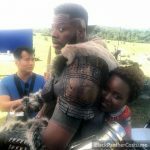 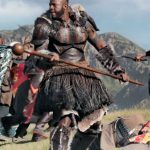 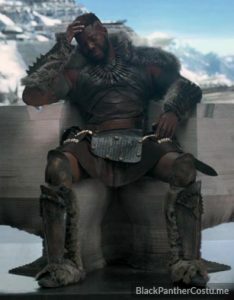 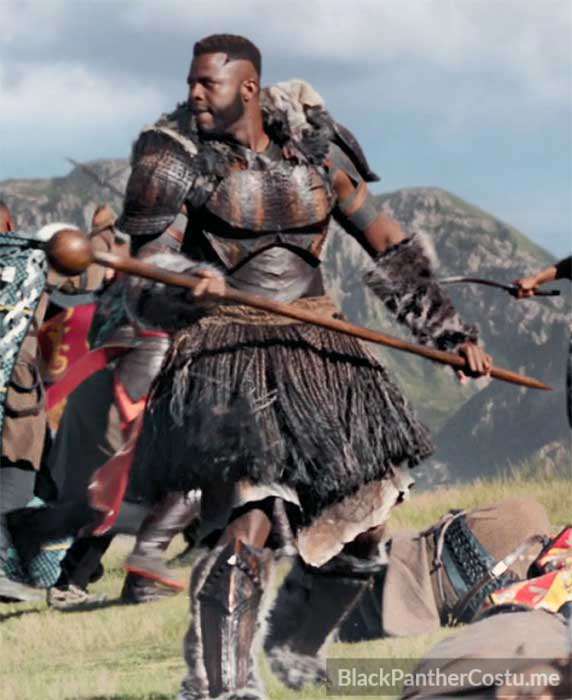 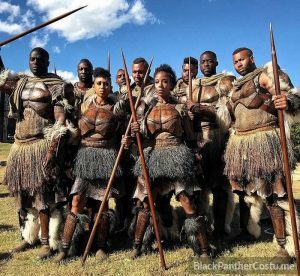 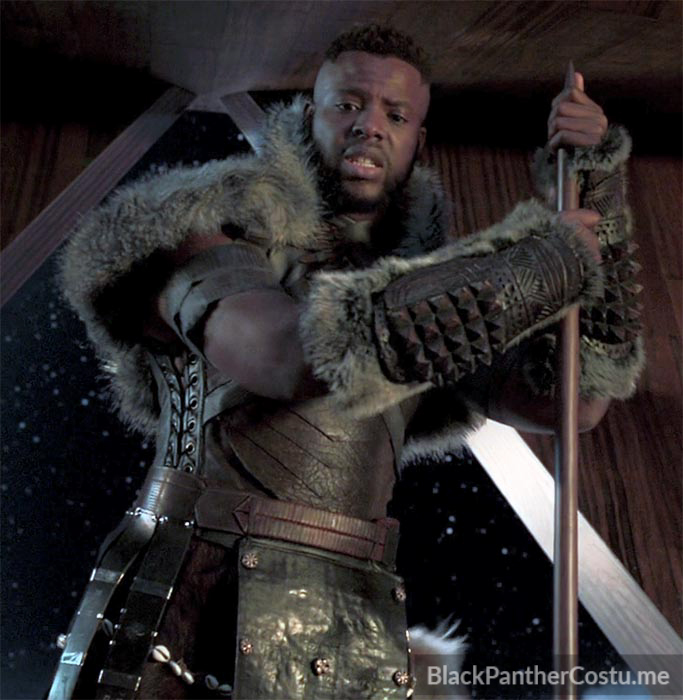 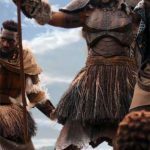 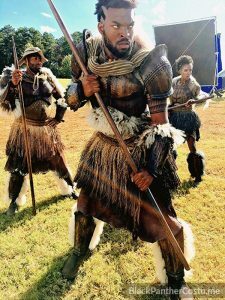 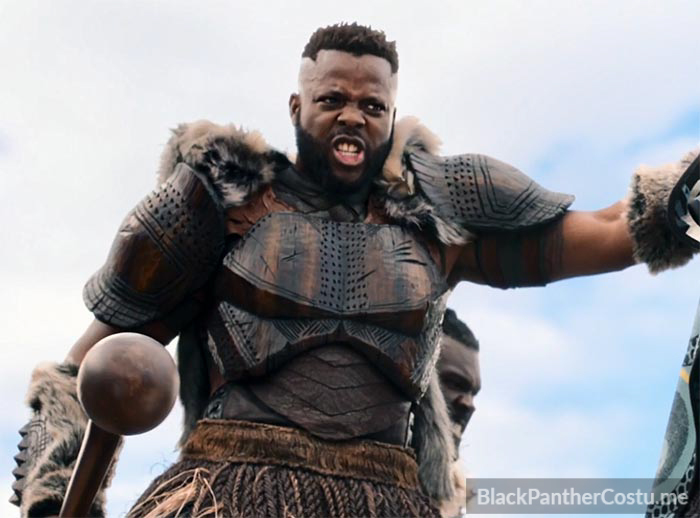 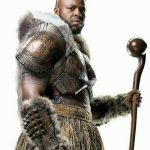 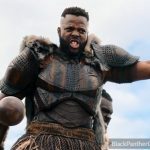 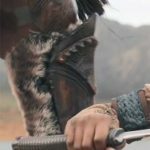 M’Baku wears a wooden breastplate and grass skirt for the final battle scene in Black Panther. Check out this listing for a replica costume.